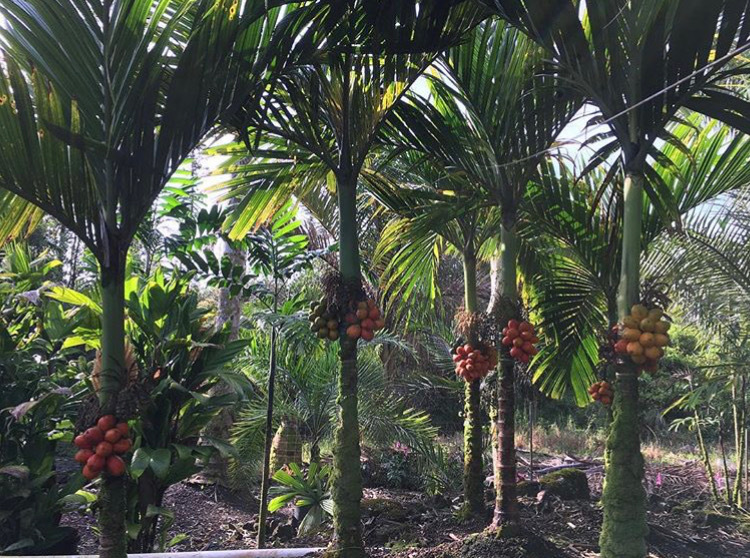 Notes: Handsome palm with its tight clusters of red fruit borne next to the crownshaft. Smaller palm that enjoys filtered light when planted in the landscape. This palm is under threat in habitat from forest destruction and the collection of its unripe seeds for betel nut chewing.